Everyone is welcome to attend. There will be a bell-ringer present to open and close the session. The meditation will be in silence. For new meditators or those who wish, there is a sheet with simple meditation instructions available. 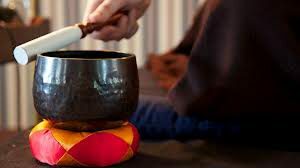 Drop-in meditations are offered free of any charge, as a communal support to practice. Come and go (quietly) as you need to, latecomers welcome. Please to not wear fragrances or scented products to the Dharma Center. It is important to provide a fragrance-free environment so that those with allergies may attend. Thank you. Everyone is welcome at Dharma Center programs and resident group meetings. 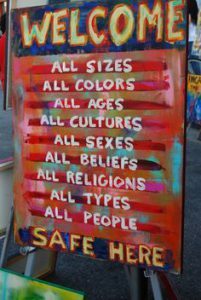 The Dharma Center is an inclusive, safe refuge for all ages, all sizes, all colors, all sexes, all religions, all beliefs, all cultures, all types, of all people.